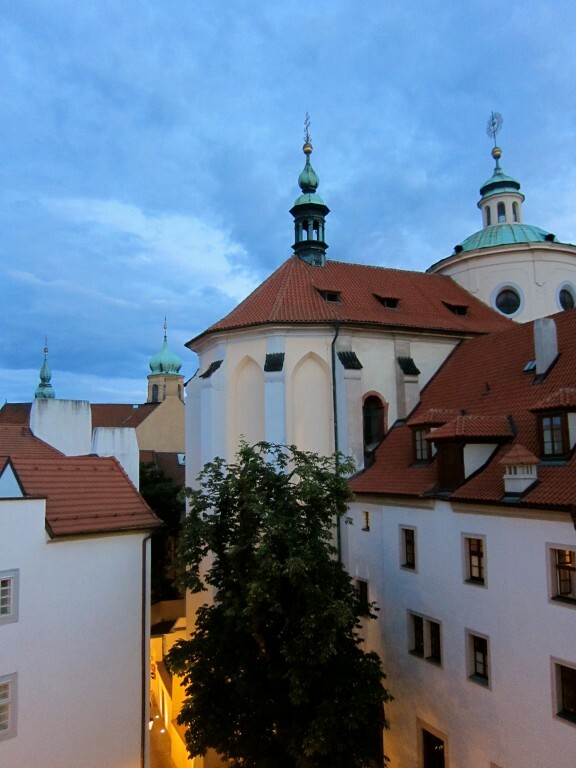 In the 13th century, King Wenceslas (yes, the one from the Christmas Carol) founded the Saint Thomas Monastery for the Augustine Order of friars in Prague. It’s seven hundred years later, and the monastery is a five-star hotel called The Augustine, the result of a remarkable restoration that has combined luxury with the humble spirit of the monks who once roamed the grounds. Prague is a fairy tale city, complete with an enchanting castle on a hill overlooking its kingdom. The Augustine is located in the charming Malá Strana, “Little Quarter”, of Prague, a few steps away from the entrance to the famous Charles Bridge. The design of the hotel is a quintessential example of mixing historical with contemporary. Carved stone sculptures and a graphic plaster relief provide a striking contrast to the traditional architecture of the monastery. Inside, pristine white plastered walls and smooth limestone floors provide a feeling of serenity. Elements of the original building are incorporated seamlessly into the new construction. The main restaurant is a lofty space named Elegante, its entrance flanked by two “elegante” stone sculptures. The cuisine is not only fresh and delicious, it is displayed in a series of perfect style moments. The bar, called 1887, is named for the date carved on its curvy Art Nouveau door. Outside the bar is a sublime terrace overlooking the grounds. Back inside, Saint Thomas hangs on the wall above a quiet stairway that leads beneath the building into a grotto – the monastery’s former brewery. Aptly called “The Brewery,” the subterranean room has tempered glass floors revealing the stone beneath. Unfortunately, this space is now only open for private events, but you can probably take a look if you ask. I love the life-size photo of a smiling monk, the work of Italian American photographer, Frank Monaco. In another nod to history, the lobby furnishings (as well as those of the guest rooms) pay tribute to the legendary, early 20th century, über-creative period of Czech Cubism. Suspended within a skylight above the lobby is an enormous glass and steel “shield” created by British sculptor, Anthony Critchlow. Monastic cells have been replaced with cozy guest rooms. Each room is different, according to its location in the building – some have vaulted ceilings, others have old timber doors with ornamental iron hinges. Warm wood floors and white plaster walls provide a subtle backdrop for stylish furnishings in a color scheme of greys and greens, with accents of majestic purple and orange. The marble bathroom features a carved plaster angel wing above the tub – another reminder of the friars that once resided here. Looking over the storybook rooftops to the castle, I think of the centuries of monks who have looked out these very same windows at the very same view. Great place! Thank you for sharing. I wonder what the Monks would think if they saw it now!! Very cool to restore something like that so beautifully.